A couple weeks back, we mentioned that you can download a finely-read audio version of James Joyce's Ulysses for free. 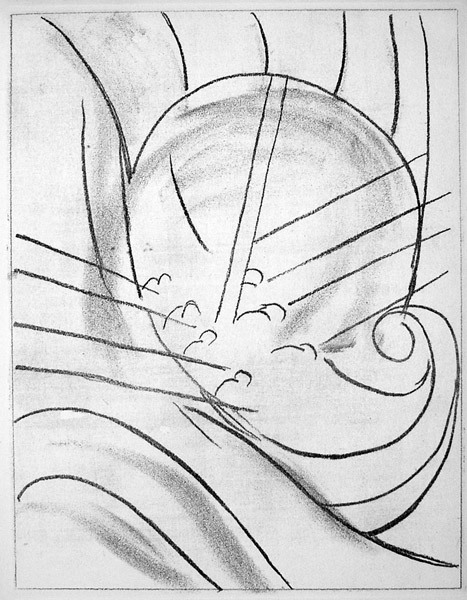 What that version doesn't include -- and couldn't include -- are etchings by Henri Matisse. Back in the mid-1930s, George Macey, an American publisher, approached the celebrated painter and asked him how many etchings he could provide for $5,000. 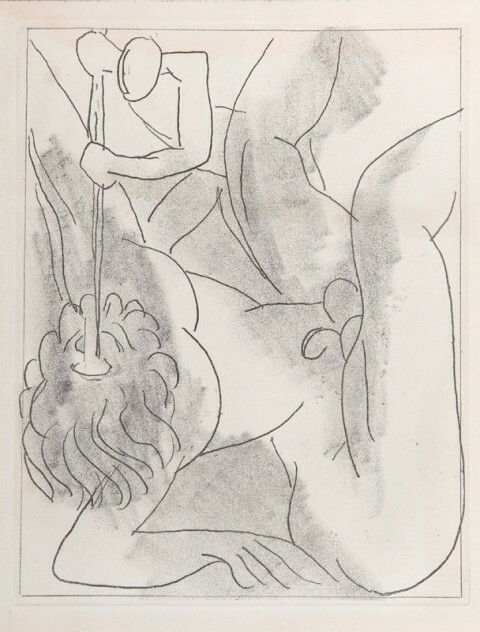 Although it's widely believed that Matisse never read Joyce's sprawling classic (despite being given a French translation of the text), he did come back with 26 full-page illustrations, all of them based on six themes from Homer's Odyssey, the epic poem that Ulysses consciously plays upon. 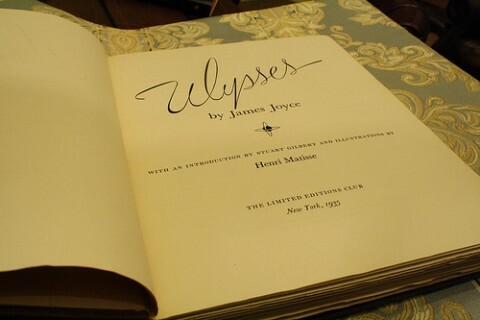 In 1935, an illustrated edition of Ulysses was printed. Matisse signed 1500 copies; Joyce only 250. And today a copy signed by both artists will run you a cool $37k. Buy, hey, the shipping is only $6. I expected the dramatic color of Matisse, but no, bold composition and line within a rectangle, shaded simply with strokes of chalk or pencil. A Powerful Story, told with the simplicity of a child’s drawing. Thank you, DYC. These are wonderful. Are the rest of the illostrations available anywhere? 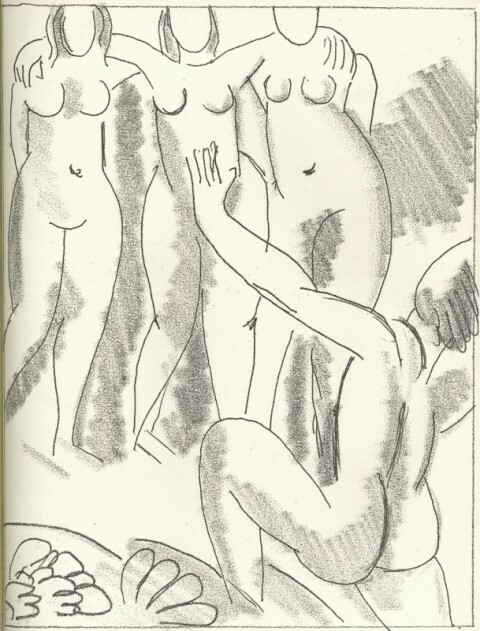 These line etchings of Matisse are wonderful. I’d like to see them all! What great drawings! Where may we see the rest?